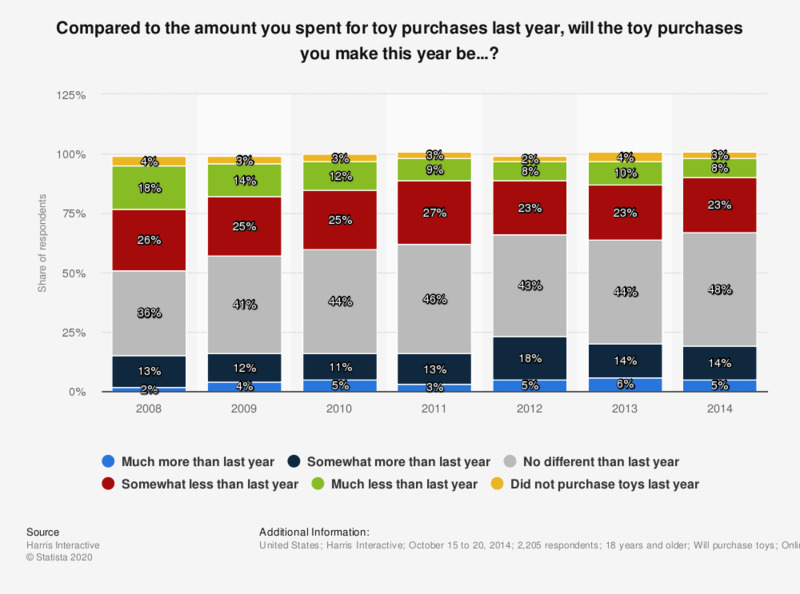 This statistic shows the amount U.S. consumers plan to spend on toys for the holidays compared to the previous year from 2008 to 2014. The survey revealed that five percent of the respondents plan to spend much more than last year on toys for holiday gifts. Percentages may not add up to exactly 100 percent due to rounding. Which products from franchise brands does your child own? This means well-known brands, such as from Frozen, Star Wars, Bob the Builder or Spider-Man?